L.J. and Danee Davis were ordinary country folks. Then God showed them their family's heart belonged in missions in Kenya. L.J. and Danee Davis didn’t know that God was setting them up to be missionaries to Africa. 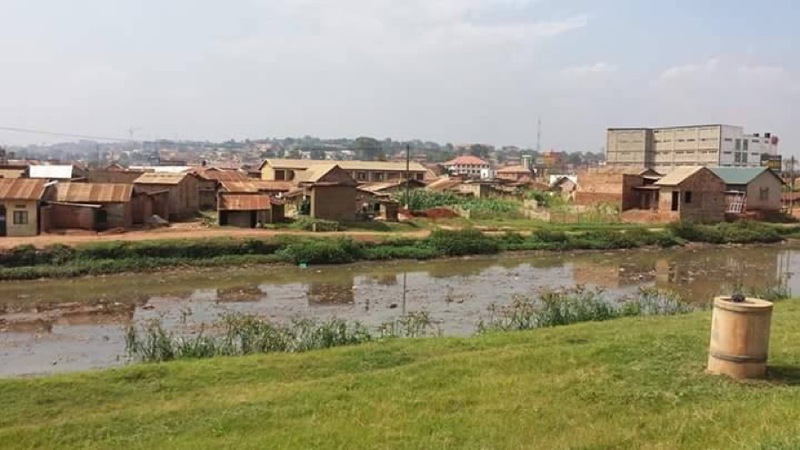 The couple and their four children are set to leave South Carolina in the summer of 2018 and settle in Nairobi, Kenya, to bring the Gospel to the slums of Kibera. The Anderson Campus couple, who have been involved at NewSpring for eight years, was aided by the 2017 Overflow Offering and will receive monthly support. They were commissioned by Anderson Campus Pastor Riley Cummings during an Easter gathering. Press play to watch the prayer. The decision to pick up sticks for a foreign land is a bold faith move, no doubt. But, then again, God’s providences so clearly paved the way that refusing to follow His lead would be unthinkable for them now. Like the donated mission trip spot that began their story. Like the visionary dreams that foretold their destiny. Like the individuals God put in their path at just the right time. Like the lavish generosity of their NewSpring family and others along the way. "We knew God was telling us where to go, and that it would have to be a miracle,” Danee says. But we’re getting ahead of ourselves …. 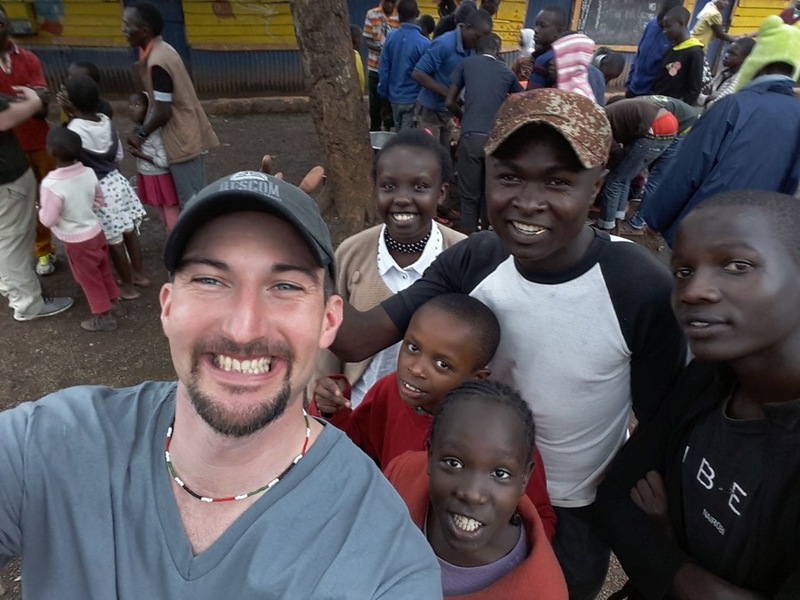 Danee taking a selfie with kids in a rural Kenyan community. For a time, the calling of God seemed so crazy that it threatened to break their marriage apart. Danee was first to feel a draw toward Africa. 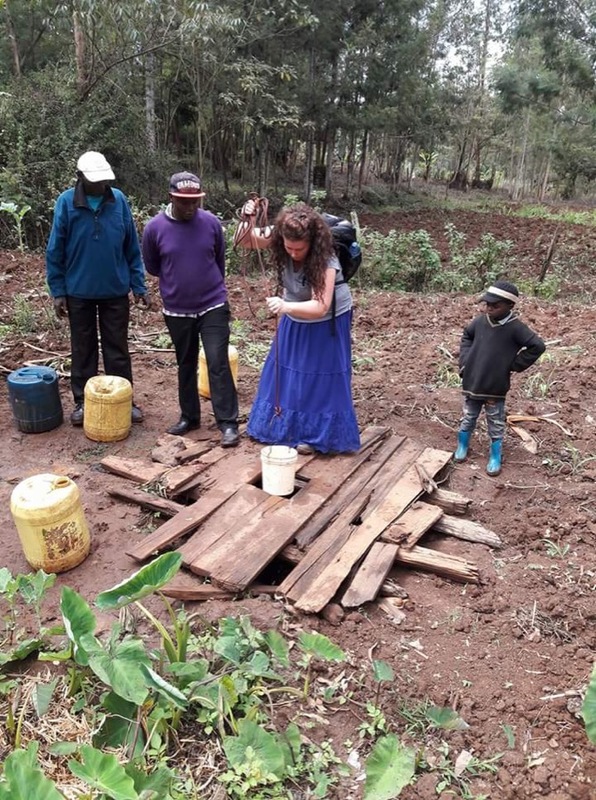 The epiphany happened as she was sitting in Sunday morning service and saw flashes of scenes from a video promoting a short-term mission trip to Kenya in 2014. “I’ve got to do this,” she said. L.J. just shrugged it off. The idea seemed ludicrous when they could barely pay the bills. “Whether he cared or not, I was going,” Danee recalls. Danee’s burden was soon confirmed in other ways. The most dramatic was a series of encounters in the Care Room, where she was a volunteer, with a woman asking for prayer for the Kenya trip. I told her, “I didn’t marry no damn missionary!” - L.J. The conversation turned to Danee’s burning desire to go. When the woman learned money was Danee’s only obstacle, the woman gave up her ticket — along with all the luggage and clothes she’d bought. The woman had a feeling that she hadn’t been supposed to go. “She said she knew she was fundraising for me,” Danee says. 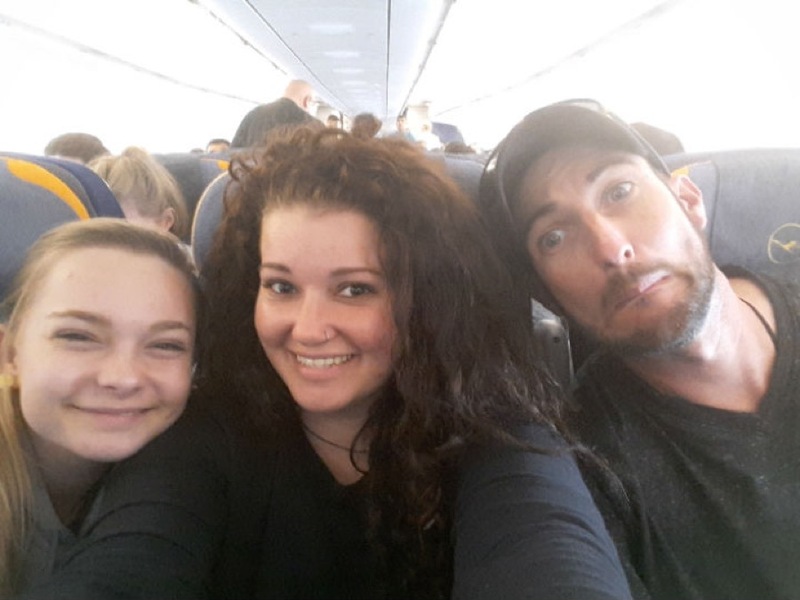 Arriving in Kenya, Danee was wrecked instantly. When she was getting off the bus, she felt something unnameable and indefinable. She just knew God was up-ending all the expectations she had for her life, and that it had something to do with this place. The work she did — playing with children, digging ditches, carrying water — filled her with an indescribable joy. When Danee returned home, “I wanted to go back immediately,” she says. L.J. having fun with kids at Agape Hope orphanage in Kenya. Her husband of six years, L.J., had his own set of expectations. And they had nothing to do with living anywhere but South Carolina, where he had a nice, big home and access to 63 acres to deer hunt. He was enjoying the fruits of a stable, happy life after God had rescued him from a meth addiction and homelessness in his early 20s. Danee badgered L.J. about going with her the next time. 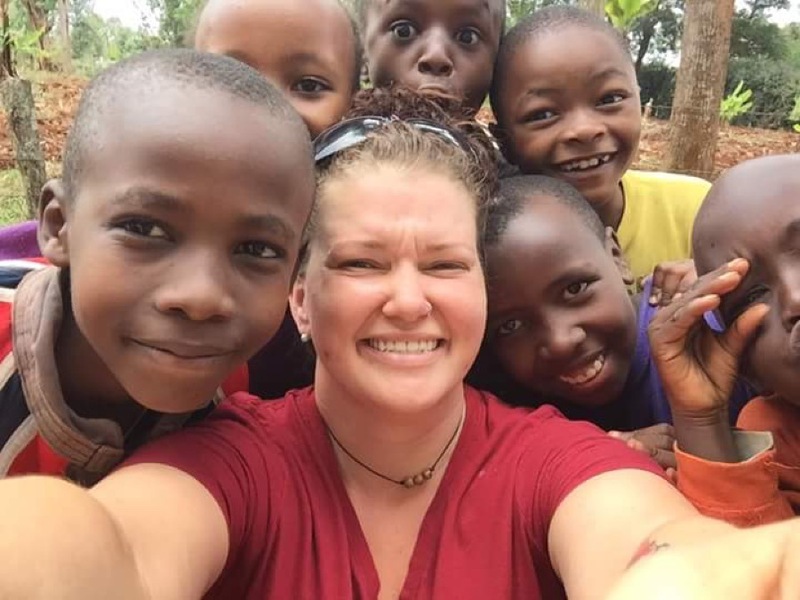 A trip to Uganda was coming up in a month’s time, but no one — except Danee — thought she had enough time to come up with the more than $3,000 that quickly. She didn’t have time for fundraising, so she sold whatever she could sell — clothes, pictures, furniture. And she earned money in any way possible — babysitting, house cleaning, grass cutting; even a lemonade stand with her kids. Somehow, she came up with the money. L.J. thought Danee’s determination and independent spirit rejected the whole idea that they were a team. For Danee, it felt like her calling to Africa had to die or she would lose her husband. The trip to Uganda wasn’t as joyful for Danee, given L.J.’s hard feelings. But it was still important in showing Danee that God wasn’t calling her to Africa. He was calling her to a specific place: Kenya. Danee and LJ (top) paint inside a school in Siem Reap, Cambodia. L.J. (bottom) poses with a friend from Freedom Church Siem Reap. Danee and L.J. patched things up, but she was still eager for him to share her excitement about missions. She’d bug him whenever a trip came up. It didn’t matter where it was. “If I could show him what it was like … I know him, and I know his heart, and I know we are the same. If I could get him there, he would have that desire,” Danee remembers thinking. Finally, L.J. 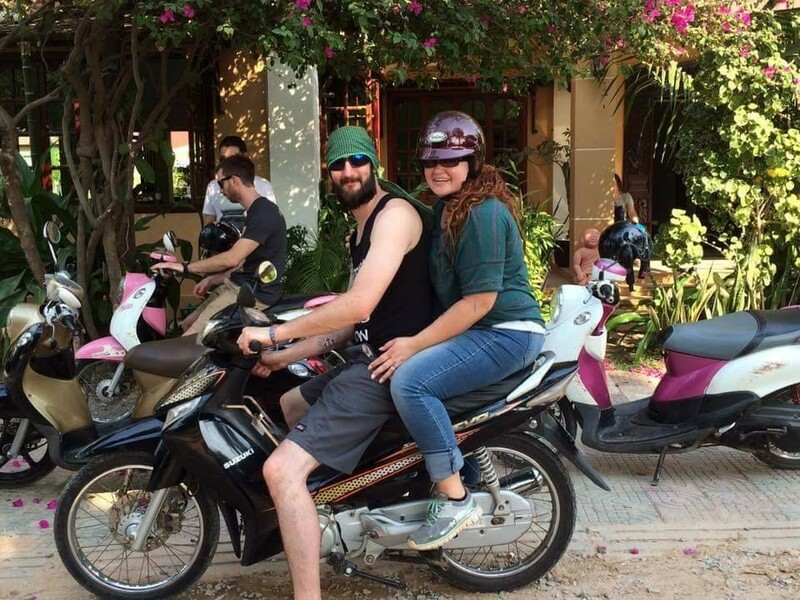 agreed to do a short-term mission trip to Cambodia in January 2016 — betting that there was no way they would come up with $6,000 in three months. “I solely agreed to go on that trip to get her to shut up. It was my way of trying to restore our marriage,” L.J. says. On the last day of the half-payment deadline, the couple still had a shortfall of $750, despite their best efforts to fundraise and sell whatever they could sell — including their living room furniture. Then, that day, that exact amount was deposited to their GoFundMe account — “by a random stranger in Texas,” as L.J. recalls Danee’s description — and the trip became possible. L.J. saw this second act of generosity as God powerfully signaling His will for him. OK, God ... I see real clearly now this is something you’re calling me to. - L.J. 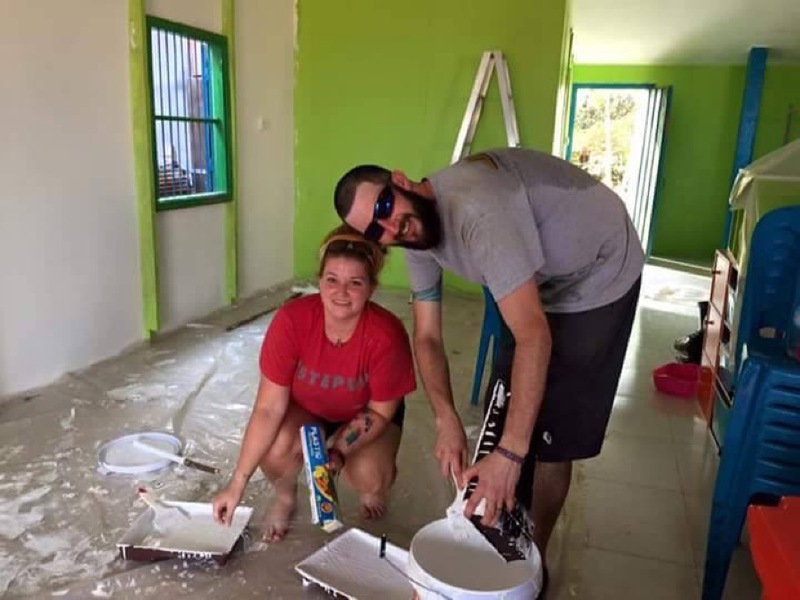 L.J., an electrician by trade, thought the trip was simply God’s way of using his real-world skills for a kingdom purpose. But it was L.J.’s turn to be spiritually wrecked. 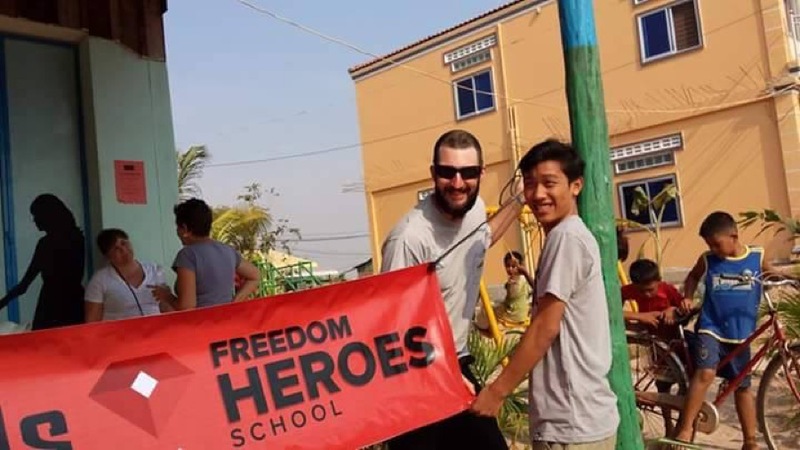 During an everyday encounter with one of the village families, his perspective changed at his core, and he felt the call of a biblical disciple, taking the message of the Gospel to foreign lands. That day, L.J. felt the boldness to ask God about His vision and dream for his life. And L.J. and Danee prayed about it every morning and night during the trip. A dream is what L.J. got: He saw himself standing in a flat plateau. There was a cinder block wall and a swing set with kids playing in the background. On the trip’s last day he asked Danee if God had spoken to her? That’s when he put two and two together. Danee had told him the night before she’d had a dream, too — of L.J. preaching in a church in Africa. In the dream, Danee was singing and their oldest daughter, Sonoma, was teaching. Danee, L.J. and Sonoma on the plane to Kenya. When Danee and L.J. returned, L.J. was the now one the who couldn’t wait for another missions opportunity. In the fall of that year, having sold guns and a boat, he was on the ground in Cardiff, Wales, using his construction skills to renovate a church training center. During a prayer on this trip, a member of the partner church saw a vision of L.J. standing by a beehive in an African landscape. “The Lord has got your future,” the church member prophesied over him. 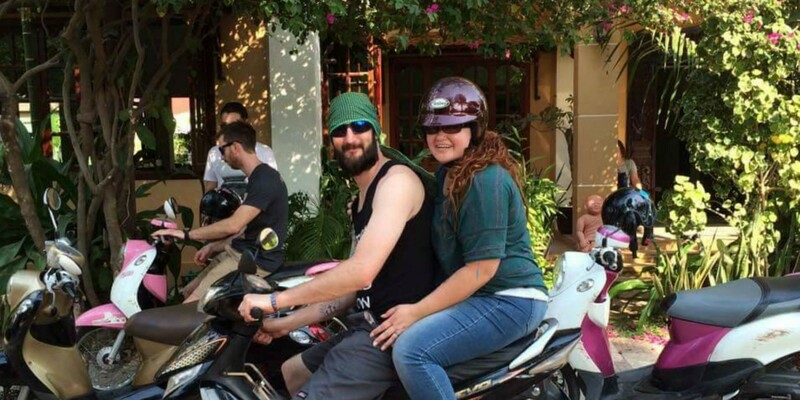 For L.J., the experience was an instant confirmation of his own visionary dream in Cambodia — and that he was called to Kenya. “OK, God. I see real clearly now this is something you’re calling me too,” L.J. remembers thinking. Sonoma (top) plays with a child in Kenya. 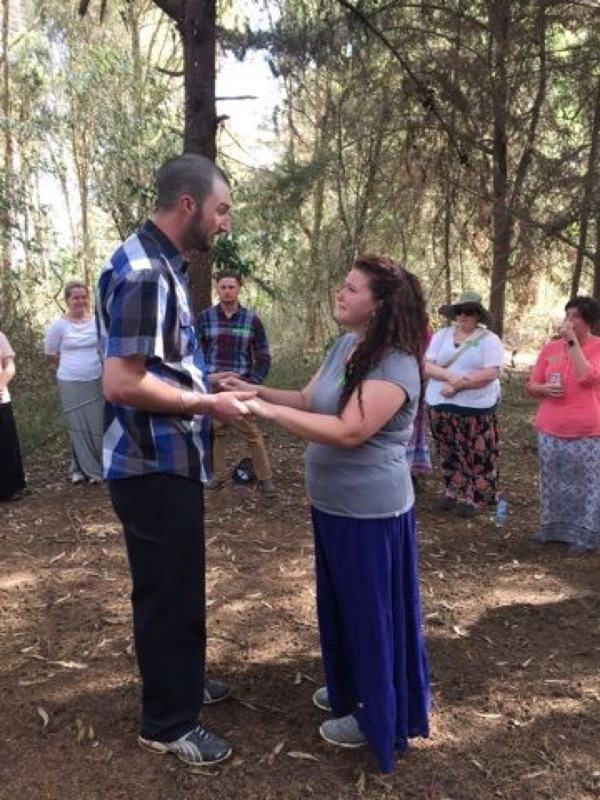 LJ and Danee (middle) renew their vows on Mount Tumu Tumu in Kenya. Danee (bottom) draws water from a well. 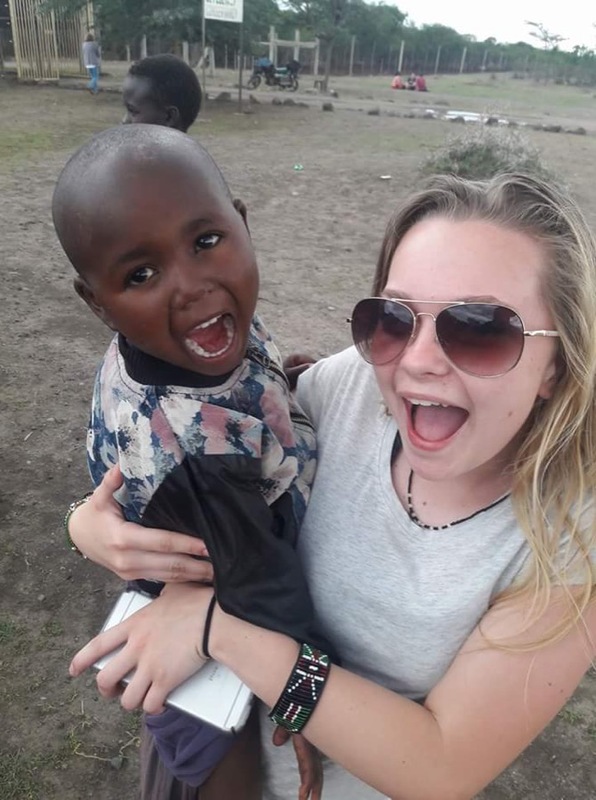 The family planned another trip to Kenya, this time with their eldest, 14-year-old Sonoma. She was resentful angry when her parents told her their plans to move. Wouldn’t that mean no high school experience? What about prom? What about her dreams of being a professional dancer? So Danee and L.J. began to pray. Two weeks before the trip, Sonoma had a dream that she was in a classroom in Africa. She was writing words on a blackboard and explaining how to pronounce them and spell them. When I stepped off of the plane in Africa, it felt like home. - L.J. In a few moments, she realized she was a teacher. That trip — L.J.’s first to Kenya — sealed the deal for them. L.J., the country boy, suddenly could imagine himself living there. Seeing a young boy, the same age as his son, huffing glue outside a market, L.J.’s heart broke. Sonoma returned home excited — but still daunted — about the prospect of the missionary life. “I had so much fun, and it was an amazing experience,” Sonoma says. The slums outside Nairobi, Kenya, (top) where Danee and L.J. will serve as orphanage house parents. Pictures of the dining hall (middle) and the dormitory (bottom). When they got back from the Kenya trip in 2017 as a family, L.J. put down one final fleece — a request that dared God to confirm their decision. L.J. pledged he wouldn’t sell their family’s home unless someone offered to buy it first. A person randomly pulled up into their driveway to ask if the home was available. Two months later, Danee and L.J. closed on the sale. After that, they sold off their remaining possessions, moved into a rented trailer with mattresses on the floor, and saved as much money from their paychecks as they could. In the fall of 2017, Danee and L.J. 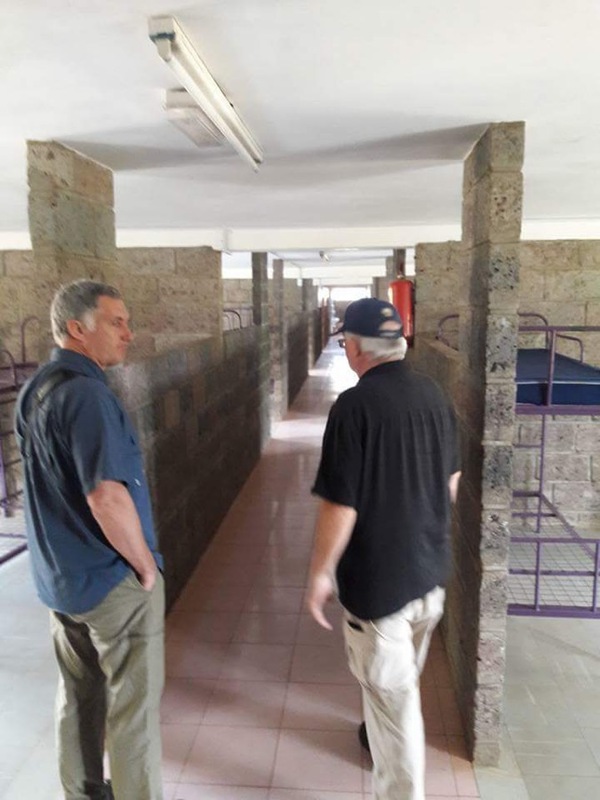 were connected with the Bristol, Tennessee,-based organization Serving Orphans Worldwide, and they began planning their move in earnest. The Kibera slums are the world’s second-largest. 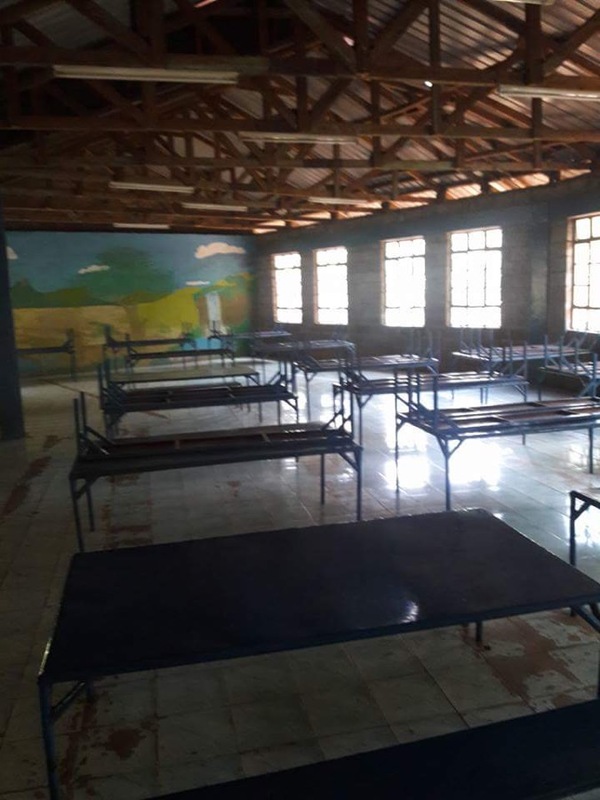 They will renovate an abandoned orphanage known as Kibera Kids so they can offer a home to street kids. LJ and Danee brought on stage for a prayer at an Easter gathering by NewSpring Anderson Campus Pastor Riley Cummings. Press play at the top of the page to watch the prayer. NewSpring leaders were so inspired by the couple’s six years serving in Care, their bold faith, their trust in God’s promises, and their kingdom mentality that the church made a special gift for the family’s transition expenses and agreed to monthly support. 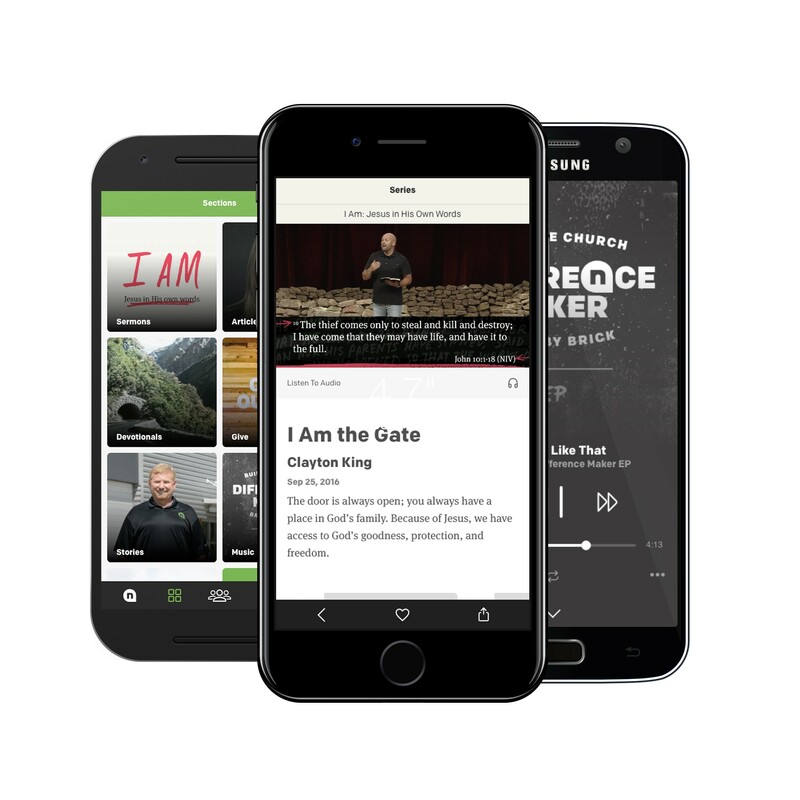 NewSpring’s support was huge, Danee says. By the spring of 2018, all arrangements were in place. All they needed was $5,800 for school expenses and furniture. 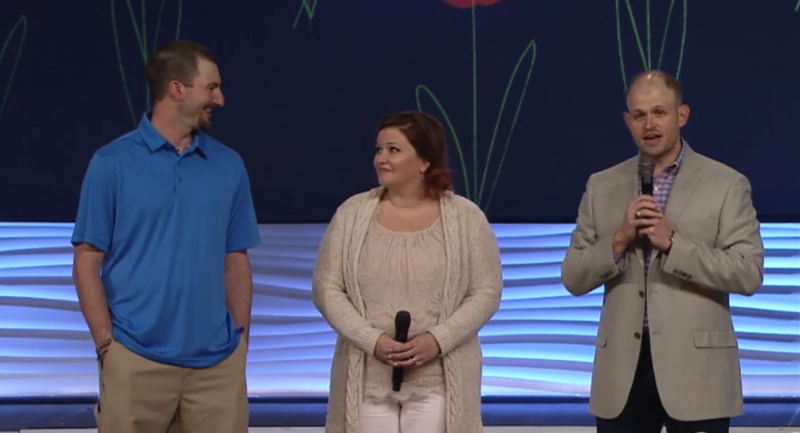 The same day they shared their prayer for that amount publicly, a volunteer couple in their NewSpring family wrote a check for $5,800, and another couple donated four new Chromebook computers. The following day, L.J.’s co-worker gave an extra $1,000 for their medical emergency fund. The generosity was one last proof — not that they needed any — that God was in control. “We were so humbled and just in awe of Jesus and all he had done,” Danee says. ‘We still are and always will be." Danee, and L.J. leave for Africa in June. Follow their story.